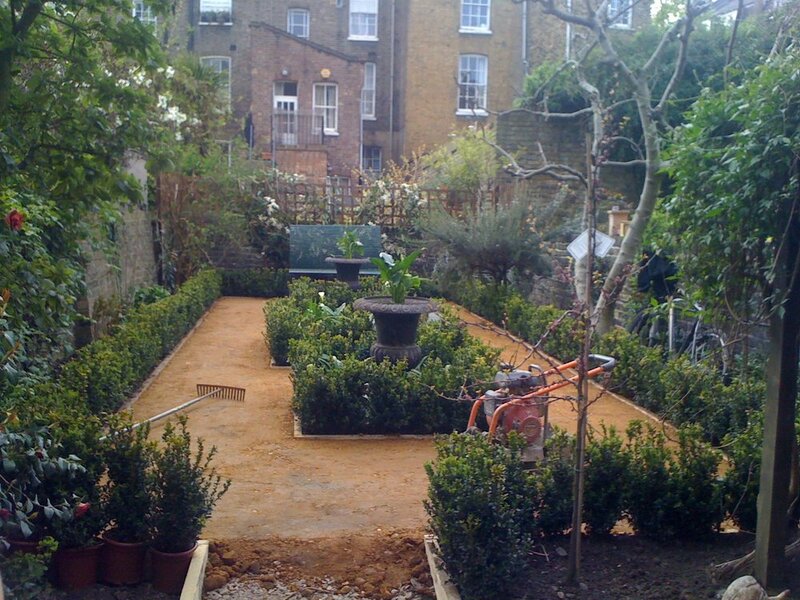 Too often London houses and gardens get divided, which means the original hhistory behind the space gets lost. In this case we had the opportunity to restore this garden to its Georgian roots. The urns act as the traditional centrepiece, complemented by privet-hedge borders as a frame the hoggin (a favourite of the National Trust) path. On the main patio we used Yorkstone, it wasn't going to be any other way.